COCONUT VEGETABLE FRIED RICE AND COCONUT SAUCE FOR CHRISTMAS! 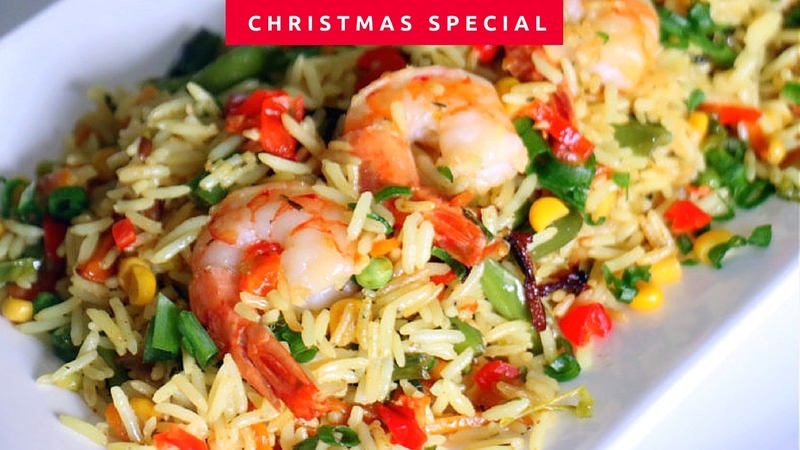 In my last vlog some of you requested that I share the recipe for Coconut Fried Rice that I made...you're not the only one oh, my family also requested that for our Christmas menu...naim we go chop on Christmas day by God's grace!!! That's how good it is. The preparation is very simple and the video can be easily followed. If you like the video please click the LIKE button and SUBSCRIBE so that you don't miss any videos from me! What will you be cooking tomorrow? Merry Christmas! Nice video. Exactly the kind of motivation I need for my cooking tomorrow. Sisi, thanks for that party jollof rice recipe you posted way back in 2013. I stumbled on it last week and tried it this week....it was D.I.V.I.N.E! Thanks so much.....you can't imagine how grateful I am. love you! please what did u the sause u made with flour for?